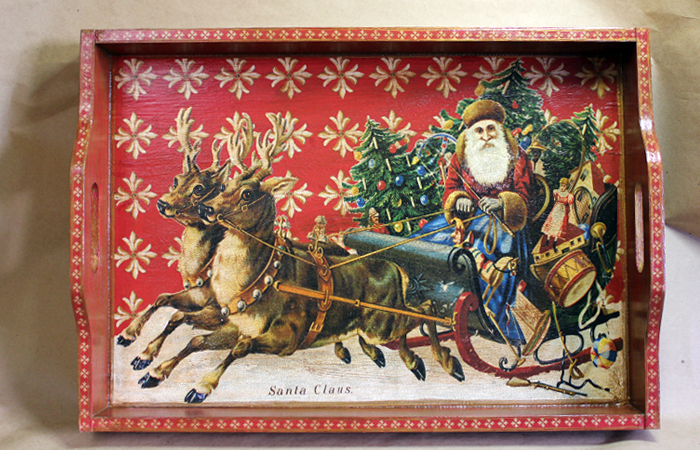 This American made sturdy wooden tray measures 14 by 20 inches and has cut out handles for easy carrying. 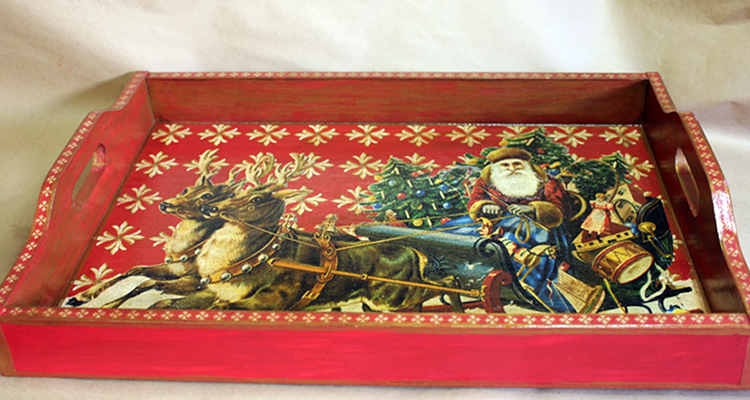 The bottom of the tray features one of my vintage-inspired designs of a Santa with his sleigh a festive red pattern design. The top of the tray also has smaller matching design. The outside of the tray is painted red while the back is painted black. This tray is the perfect addition to your holiday decor. The is signed on the back and features my signature crackle finish.